Private Investigator Edwina "Eddie Shoes" Schultz's most recent job has her parked outside a seedy Bellingham hotel, photographing her quarry as he kisses his mistress goodbye. This is the last anyone will see of the woman... alive. Her body is later found dumped in an abandoned building. 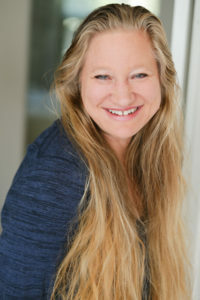 Eddie's client, Kendra Hallings, disappears soon after. Eddie hates to be stiffed for her fee, but she has to wonder if Kendra could be in trouble too. Or is she the killer? Eddie usually balks at matters requiring a gun, but before she knows it, she is knee-deep in dangerous company, spurred on by her card-counting adrenaline-junkie mother who has shown up on her doorstep fresh from the shenanigans that got her kicked out of Vegas. Chava is only sixteen years older than Eddie and sadly lacking in parenting skills. Her unique areas of expertise, however, prove to be helpful in ways Eddie can't deny, making it hard to stop Chava from tagging along. Also investigating the homicide is Detective Chance Parker, new to Bellingham's Major Crimes unit but no stranger to Eddie. Their history as a couple back in Seattle is one more kink in a chain of complications, making Eddie's case more frustrating and perilous with each tick of the clock. When it rains, it pours for Edwina "Eddie Shoes" Schultz. This story opens with Chava Schultz (Eddie's estranged card shark mother) and Detective Chance Parker (Eddie's former romantic flame) popping back into Eddie's life unexpectedly. Shortly there after, Kendra Hallings (Eddie's client) disappears after her husband's mistress turns up dead in an abandoned building. Unfortunately, it appears Eddie was the last person to see the mistress alive (besides the killer). All of this spells drama for Eddie and pages of entertainment for readers. ONE DEAD TWO TO GO is book one of the Eddie Shoes series and a great debut for Elena Hartwell. Written in first person, you get a feel for Eddie's personality and insight into her unique background as you follow the action. The cast of supporting characters is just as unique as the main character. What looks like a ball of drama unwinds into a clever and funny mother-daughter crime-fighting mystery. 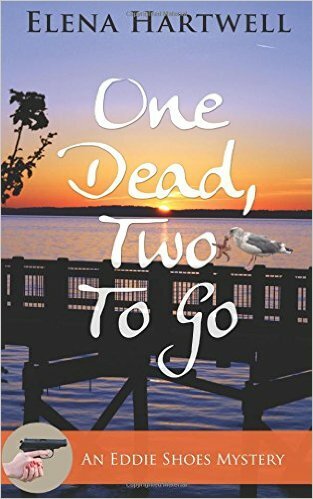 ONE DEAD TWO TO GO is a well-written fast-paced story that kept me fully engaged from beginning to end. It's one of those stories where you get to the end of a chapter and think, "Okay, just a few more pages." And the next thing you know, you've read three more chapters. I can't wait for book two in the series to be released. I'd recommend this book to fans of PI stories, feisty female characters, and mysteries with a twist of humor. I can't get the counting out of my head. And expect to see another book, three to get ready and four to go (or four in the know).